Has your commercial building recently sustained a hail damage? If a storm has hit your area, most likely your roofing got punctured and caused problems inside your building. It doesn’t matter what the size of the damage is because roofing problems are no joke. If you do not take immediate action, these issues will get bigger and cost you a lot of money. What you need to do is to immediately file a roofing insurance claim for your commercial roof. If you’ve been hit by a hail storm, then you need to go through the process of filing a hail damage insurance claim. Doing this will ensure that you don’t have to pay for the roofing damage yourself. With a roofing insurance claim, you’ll have greater peace of mind. Today, we’re going to give you some helpful hail damage or roof leak insurance tips. As much as possible, you must avoid common errors to avoid rejection from the insurance company. Without further ado, here are simple steps you should follow to get your hail damage or roof leak covered by insurance. Continue reading. #1: Do a thorough inspection and document. Do not contact your insurance company immediately. The first and most important thing you should do is to thoroughly inspect your area. Try to explore your commercial building to look for signs of roofing damage. If you have a camera, take photographs to serve as evidence. Show this to your insurance company. Also, get in touch with a trusted roofing contractor that can help you file a hail damage insurance claim. Experienced roofing contractors know what to look for after a storm damage. They will also help you estimate the costs involved in repairing the damage. #2: Get in touch with your insurance provider. After you inspect your commercial roof or hire a contractor to do the inspection for you, you’re now ready to meet with your insurance claim provider. Call your insurance provider to present your case and supporting documentation. Your insurance company should refer you to an insurance claims adjuster outside their company. An insurance company can also have their own in-house claims adjuster. These individuals help you through the claim process. They further investigate your case and assist in the negotiation process by inspecting the damage and reviewing all pertinent documents. It would also be a good idea that your professional roofer and claims adjuster would meet and check your damage again. #3: Start the repair process following the approval. If everything goes well and your insurance company approves your hail damage insurance claim, they will give you an initial check. Use that check to start the repair process. Report to your insurance provider any additional expenses so they can cover that as well. Just in case the insurance provider does not approve your roofing insurance, try to review their insurance policy. Denials usually occur because commercial building owners fail to provide sufficient documentation. So don’t forget to follow the first tip here! Your insurance adjuster should be able to provide you a written letter that explains why your roof leak insurance or hail damage insurance claim got denied. Most commercial building or business owners do not know what to do during a storm damage. Again, if you suspect a roofing damage, contact a roofing contractor that can help you through the roofing insurance claim process. Remember that documentation helps you get an insurance claim approval. 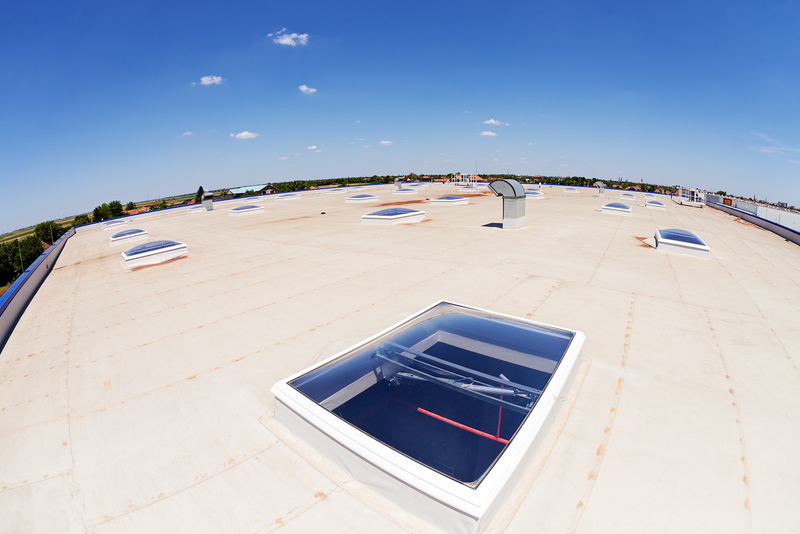 The right roofing contractors know which areas of your commercial roof are probably damaged. Do you need help in finding the best roofer to help you through the insurance claim? Below are useful ways to hire a trusted commercial roofing contractor. #1: Read online reviews and ask for recommendations. A practical thing you should do is to ask your friends and family members if they can recommend a professional roofer. You can also conduct your own research by reading online reviews. Visit legitimate local online listings. Many roofing contractors these days have websites. Start from Google and type in the search box: Your place + roofing contractor to get a list of roofing websites. Check their work samples and testimonials. #2: Do a phone call interview. Make a list of prospective roofing contractors. Take note of their contact details and start calling them one by one. 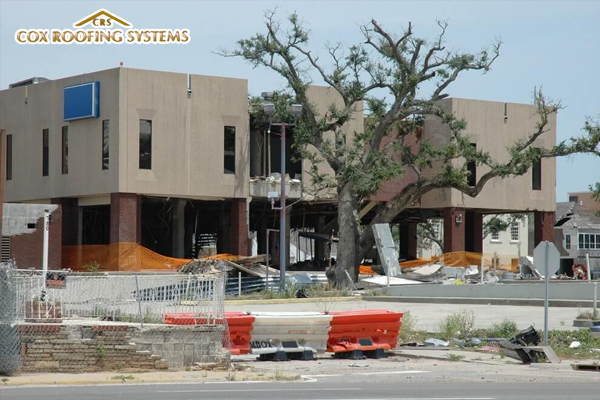 Ask each contractor whether they specialize in helping commercial building owners claim a hail damage insurance. Ask them if they have assisted commercial building owners in the past. The contractors must show you proof of their license and insurance. Check if they have a physical office in your location. #3: Ask for a written estimate. A reliable roofing contractor should be able to get everything in writing. After assessing the extent of the storm damage on your commercial roof, the contractor must provide you a written contract. The written contract should outline the costs of the materials to be used, labor costs, and the estimated completion date. Ask your contractor if they provide a workmanship warranty. 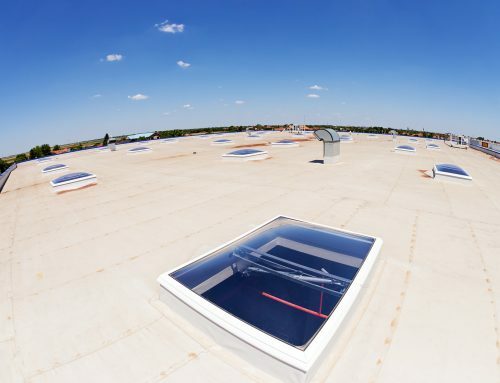 Cox Roofing Systems is a roofing contractor that helps commercial building owners protect their roofs, especially during storms and calamities. If you’re looking to file a roofing insurance claim, we are here to assist you. Need more information? Contact us today at 877-306-7031.